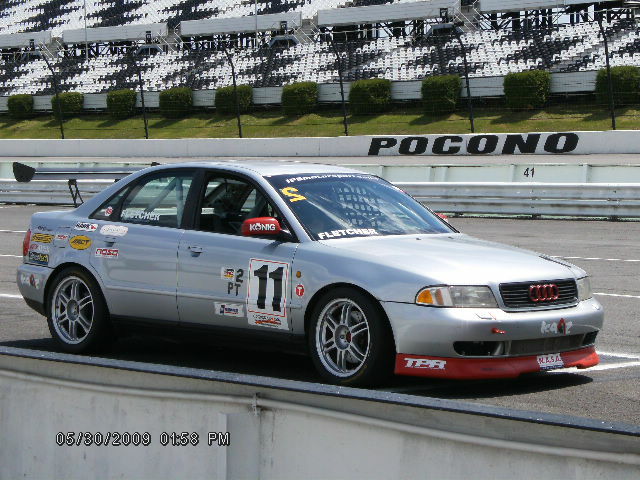 New Jersey Chapter Audi Club at Pocono Raceway! How could we have made this years Pocono HPDE Event any better than last year? 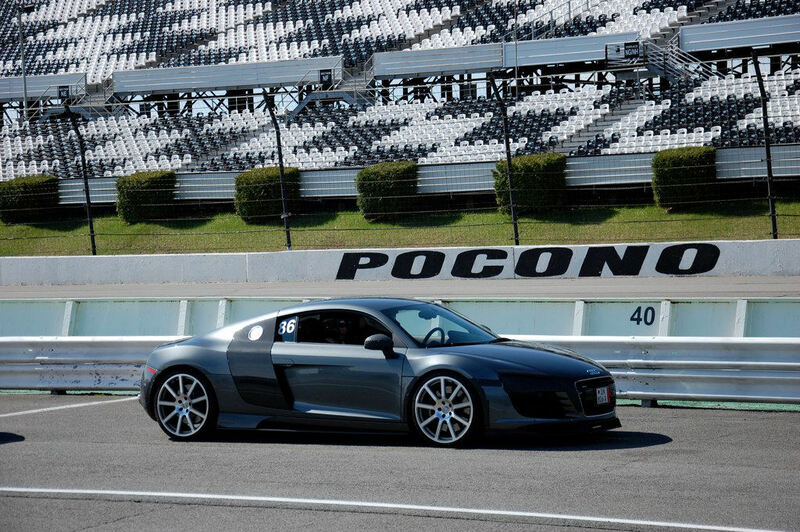 A complete Pocono Raceway takeover by the NJ Chapter of the Audi Club! as opposed to just the 1.5 mile North Course. We will be one of the first clubs to drive the freshly paved oval. Although different from last years venue, we will have the oppurtunity to drive our Audi’s as our German friends do on the Autobahn! The 2.5 mile oval will provide such an experience. There are few chances in ones life to drive the 2.5 mile track at Pocono! Just might be a once in a life time oppurtunity! Especially in your own Audi! Reserve the date now! Sunday May 6th! we knew we had to provide a venue to carry on the enthusiasm from those events. 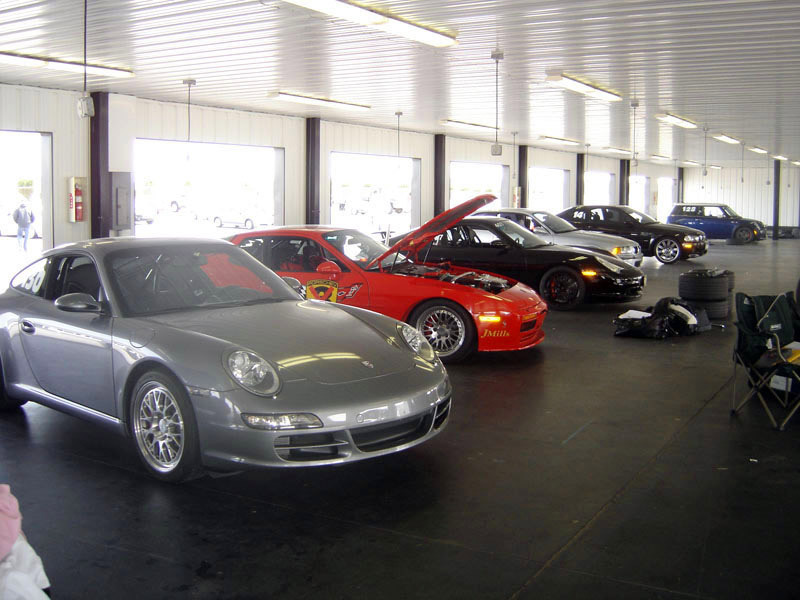 An Affordable High Performance Driving Education Track Event! 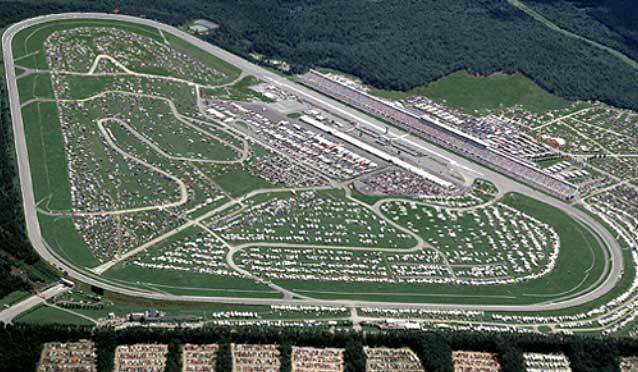 “Pocono Raceway has long been recognized as one of NASCAR’s most competitive speedways. 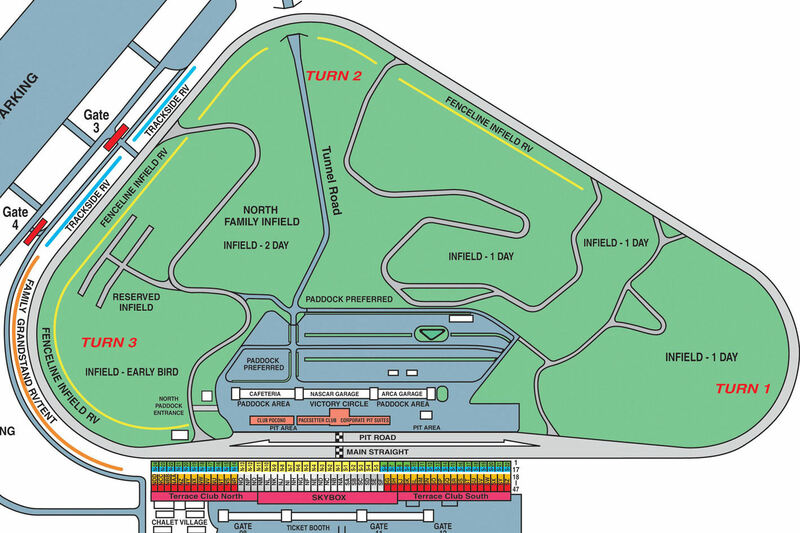 Pocono’s unique 2.5-mile track features three turns, each with its own degree of banking (Turn 1 – 675 ft., 14 degrees, Turn 2 – 750 ft., 8 degrees, Turn 3 – 800 ft., 6 degrees) and three straights (Main Straight – 3,740 ft., Long Pond Straight-3,055 ft. and the North Straight – 1,780 ft.). The combination of the track’s own challenges and the fact that the three turns each have their own characteristics, has resulted in a unique description: “the superspeedway that drives like a road course”. This is the 2.5 mile high bank oval used by NASCAR. High Performance Driver Education Event and we have succeeded! Should you not be able to attend this free tech inspection it is your responsibility to have your car pass a safety tech prior to the event. Please download this form and bring it to the Tech Inspection on the morning of May 6th. This event is being hosted by the Audi Club, however, ownership of an Audi is not required. In fact we encourage all makes and models to participate. This event is tailored toward drivers who would like to achieve higher levels of car control and learn more about the specifics and technical capabilities of his/her car. The instruction and experience in attending this HPDE just might save your life when back on the street! It is well suited for drivers of all ages to advance their skills behind the wheel. You will be provided with an opportunity to understand and experience terms like understeer, oversteer, threshold braking, ABS, ESP, weight transfer and the like. This can be best used to every driver’s advantage. If you are at all interested in learning the full capabilities of your car in a safe and fun environment, this event is for you! In addition to the above, a HPDE teaches driving basics such as seating position, mirror placement, proper vision and awareness. Qualified instructors are monitoring and riding with the student throughout the entire day in the lower run groups. The students are also taught the dynamics of the physical limitations of their vehicles, as well as their own personal limits. Go to the Event Sign Up page above to register or simply click the link below! This event would certainly make for a great weekend “Get-A-Way” for the whole family as well. Situated in the heart of the Pocono Mountains there are plenty of attractions to entertain the whole family nearby. Golf Courses, Shopping, Spas and other family attractions. We have put together discount packages at nearby hotels as well for those who want to come up the night before and stay an extra day or so as well. Will I “beat on my car” ? is a frequently asked question This is a major misconception! In fact, the reality is just the opposite! We teach the driver to be smooth, precise and consistent with their driving at the same time developing the driver and car to advance in speed and comfort level. An instructor who is familiar with your car will be assigned to you for the entire event and ride in your car for the entire event (lower run groups). It is the job of that instructor to make sure you, the driver, advance to a level where both are comfortable. This requires removing all the bad habits you have developed on the street and advancing in the art of driving dynamics and safety. Yes, you will in most cases exceed the triple digit speed mark at various points on the track, Legally! Tires wear and brake wear will be at a minimum and wearing out a set of tires and brakes will not be an issue. Certainly not required…but should you have one bring it out! Is your Audi capable of such an event? All participants are required to pass a mandatory safety inspection prior to the event. Information on the Tech Inspection will be posted soon. “What’s required? Only your desire to drive on a world-class race circuit, hang out with friends and other enthusiasts and Have Fun. Who knows you might even learn a thing or two. After all that is the point of a HPDE event and that is what ACNA-NJ does well. If you have never been to the track I would like to clear up a misconception. You are not required to have a “race” car or a modified car to enter such an event. Chances are the Audi you drive every day is just fine. All Audi’s are more than capable of being driven on the track in their street trim. Audi spends a lot of time and money on their race program and a lot of this development ends up right in our street Audi’s. This means BBK’s, modified suspensions, tweaked ECU’s, special tires and all those nice mods are NOT required. It’s all about coming out, learning how to drive our Audi’s on a track and having fun! Take it from Michele’s 170 hp, 1.8T, A4 with a TIP. This A4 has an Audi Sport Suspension, Porterfield R4 pads and Motul brake fluid. These few little track prep items are the only “special” track goodies on this A4! And she has a BLAST with it on the track. Just check out the pics!! Michele has completed more than 20 track days with Porsche Club, Audi Club and other clubs in the last two years with her A4 and has not experienced ANY track related failures at all! And when on the track, she drives this A4 at 9/10 most of the time! It’s a testament to the Audi line but more importantly, it just proves that you should come out and DRIVE! Besides, those who have a TIP will love learning the right way to drive them! Ever preload your TIP’s downshifts while braking from 120+mph just before a turn? I didn’t think so! You might be surprised how well these Audi’s do on the track just the way they are. For those who have gone the extra step and have modifications like BBK’s, software mods, exhausts and suspension upgrades and haven’t been to the track yet what are you waiting for?? Use them!! The most important mod you will ever make is to participate in an ACNA-NJ HPDE track event! Please do not hesitate to ask any questions you might have. As more details become available we will be updating this site and keeping everyone informed. Go to the EVENT SIGN UP page to register….. Previous PostACNA-NJ Car Control Clinic and Teen Driving School – 11/6/2010.